Ding #1 was fitted with a solar-powered, GPS-equipped satellite transmitter on 20 June 2014 at the J.N. Ding Darling National Wildlife Refuge on Sanibel Island, Florida. 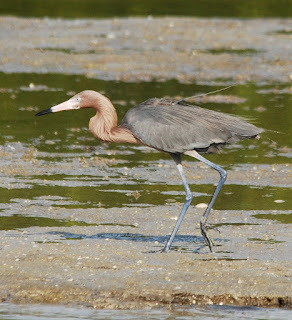 For nearly a year, Ding #1's movements centered on the bird's foraging range on Sanibel Island, an area near the popular Wildlife Drive, with only occasional flights longer than five miles (See Ding #1's animated tracking map). In early May of 2015, Ding #1 started to make day trips to Pine Island, and, within a week, moved into the shallows of Little Pine Island to the northeast. On 15 May 2015, Ding #1 started moving north, very far north. Ding #1's tracking data shows the bird stayed overnight on Anna Maria Island, then continued up the Gulf coast for two days, finally settling into the Big Bend Wildlife Management Area just north of Steinhatchee, Florida, a total move of approximately 250 miles. Movements of Ding #1 showing the first-ever long-distance move of a Reddish Egret documented by satellite telemetry. For 25 days, Ding #1 foraged along the remote tidal flats of the Tide Swamp Unit of the Big Bend Wildlife Management Area and each night flew five miles to the south to roost on an offshore island. 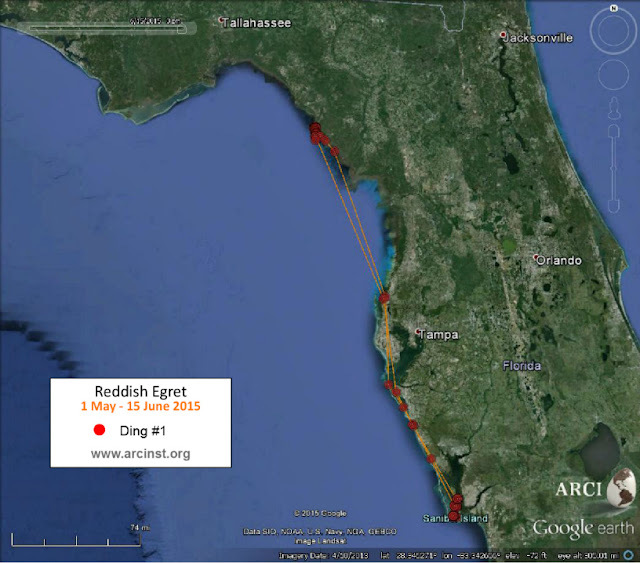 On 9 June 2015 Ding left his morning roost and started a southbound track back to familiar ground near Pine Island. Ding #1 spent a night on an offshore island west of Pine Island and made his way back to the Wildlife Loop Drive near the observation tower the next morning. 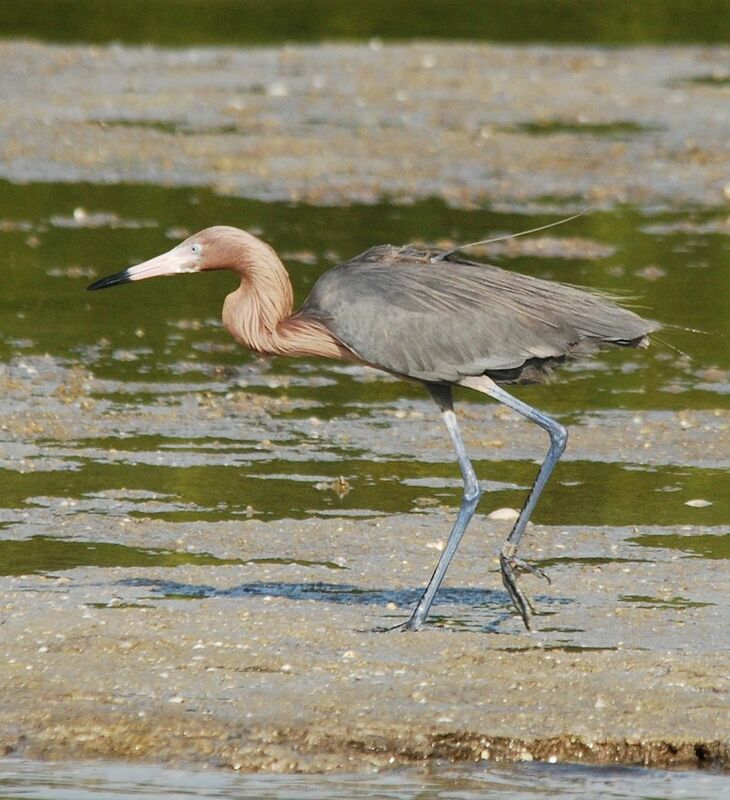 This is the first documented long-distance seasonal movement (over 30 miles) of any Reddish Egret tracked in Florida. We are are eager to continue watching Ding #1's data as this will help us continue to understand his month-long foray to Florida's Nature Coast. This is an excellent example of the power of satellite telemetry to reveal the unseen lives of birds. In the last 40 years, up to 80% of formerly common bird species have declined. Since 1996, ARCI has used satellite telemetry to study the ecology of these at-risk birds and has worked to develop management techniques to save them, but we must apply them now, before their recovery becomes impossible. © Avian Research and Conservation Institute | . Awesome Inc. theme. Powered by Blogger.